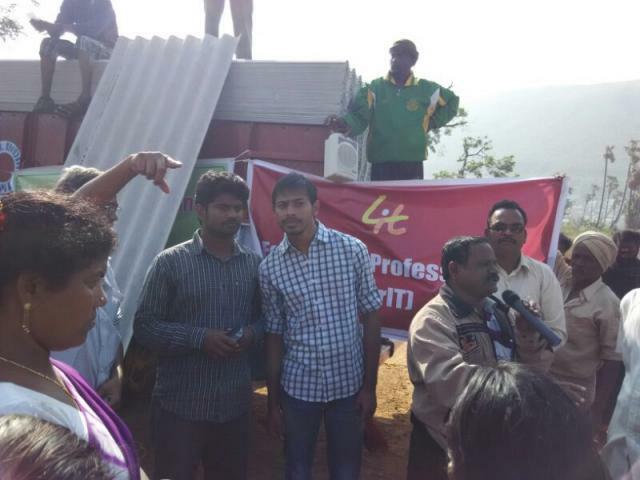 Forum of IT Professionals (ForIT) in collaboration with Swecha, part of Free Software Movement of India, has delivered on its promise to help rebuild one colony from the Hudhud affected Visakhapatnam. 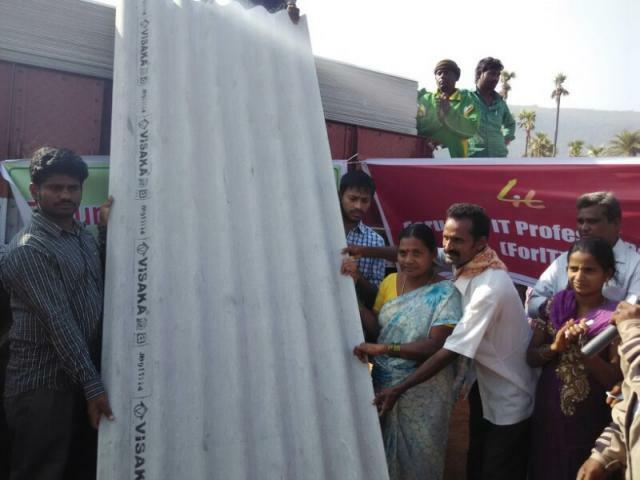 In this direction, we have distributed 1200 asbestos sheets worth Rs.4.5 lakhs, thereby benefiting 370 families. 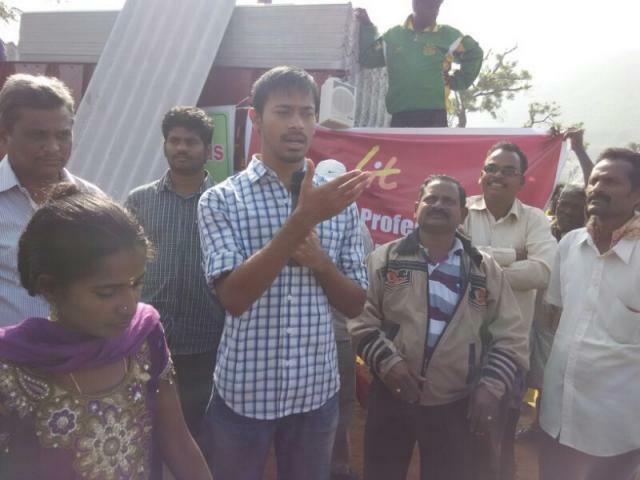 The distribution was done on 24th December, 2014 at Thotagaruvu near Arilova in Visakhapatnam. 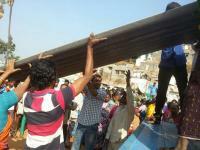 This colony’s residents are mostly daily wage labourers, municipal workers, etc., and belong to the low income group. Ashish, Core Member, Forum of IT Professionals (ForIT) and Giri, EC Member, Swecha participated in the distribution. 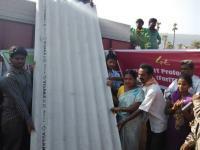 The beneficiaries expressed their happiness on being provided shelter. They also opined that the state government, despite making tall claims failed to pay heed to their most essential necessities like shelter.